My weekly article in Al-Akhbar: "How will MbS rule"? Lebanon often provided a venue for American and Western action films. In the 1950s and 1960s, it was a place of international intrigue and espionagewhere spies intersected with other spies, and where car chases on mountainous roads provided for good movie scenes. There were so many US and European movies shot in Lebanon in those times, with such titles: “The Sell-out”, “Masquerade”, “Man on the Spying Trapeze”, “Agent 505”, “Embassy”, among others. But that so-called peaceful Lebanon (where successive Israeli invasions and massacres don’t get a mention in Western movie accounts, and are rarely listed as the reason for undermining the old Lebanon—with all its flaws, inequities, and injustices) does not exist anymore. The Lebanese civil war provided a totally different venue for American action films that were to come in the 1980s. 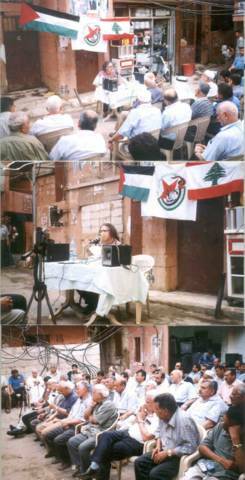 While the Lebanese civil war was too complex for American films—and even for Western media and scholarly accounts, and while American films rarely if ever cover international conflicts and wars unless there is a white savior who can be inserted into the plot, the American military intervention in Lebanon in the 1980s and the bombing of US marine barracks in 1983 and the civil war phase where US was fighting alongside the Phalanges death squads, provided whole new scenarios for American action films, especially those which were produced by Israelis with tenuous or non-tenuouslinks to Mossad. America was ready to take revenge, if not in reality than on the silver screen. The Delta Force series of movies starring Chuck Norris were written and produced by the Israeli propagandist, Menachem Golan (who had servedin the Israeli military). And the depiction of the Middle East was a vulgar variation of the stereotypes: religious fanaticism mixed with thuggery, and neighborhoods and streets are replicas of the worst Orientalist imaginations. Many of those movies had Israeli participation in set creations, production, and acting. Arabic words are often (mis)pronounced with Hebrew accents. But one would think that times have changed and that Middle East depiction in films has improved a bit. The story line of the film, Beirut, was based on a script by well-known writer who was behind the Bourne plots starring Matt Damon. Yet, the plot is nothing more than a cliché that always finds its way in US movies about the Middle East. A good white Westerner is kidnapped by bloodthirsty Arabs. And the good white American in the movie is a CIA agent who of course knows the region better than its natives. But there are many elements of the movie that are woefully false, and often offensive. 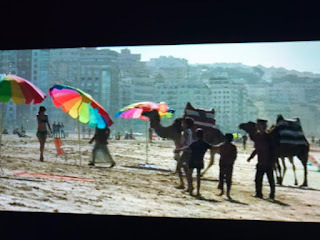 Who, for example, would find a beach in Beirut where camels are strolling? And what is the deal with camels in Middle Eastern cities? Camels are wonderful animals who played a big part in the lives of ancient Arab nomads, but times have changed, and even in Saudi Arabia the percentage of the population which still is nomadic is miniscule (less than 5%). And in Lebanon, you would have to search for a days to find a camel (you can find some in the Biqa` valley, but it is almost impossible to find a camel in Beirut). And why would camels be in Beirut—and on the beach? And the juxtaposition of the Lebanese civil war with the plot clearly reflected the ignorance of the writer about the civil war. People who did not live in a civil war situation assume that people fought daily, and that there were no truces and that normal lives did not find a way to coexist with war. There were often months of cease-fires that were rarely violated, and days of intense fighting were often followed by days of no fighting. Yet, the film assumes that fighting went on non-stop. And the Palestinian militia members had names that were not recognizable although the group in question resembled that of Fath-Revolutionary Council (the Abu Nidal organization). But the notion that CIA forces or US embassy armed gunmen moved so freely in Beirut—especially in West Beriut as in the movie--and Lebanon is a figment of the imagination of the movie. The movie should have reminded Americans that, in fact, from 1975 until 1982, the US diplomatic and military presence in Lebanon was (officially through understandings between the CIA and Force 17 of the Fath Movement) under the direct protection of the PLO (the PLO assigned the Lebanese Arab Amry, which split off from the Phalanges-controlled Lebanese Army, to protect the US embassy in Beirut). It was only after the evacuation of the PLO forces from Lebanon that US embassy was attacked and US diplomats and intelligence agents were kidnapped (the assassination of US ambassador Francis Meloy in 1976 was undertaken by a Lebanese leftist group, and the PLO had nothing to do with the assassination). In the movie, the PLO is seen as rather less dominant than it actually was (militarily speaking). And American diplomats moved in those days extremely cautiously in Beirut (especially after the assassination of US ambassador Francis Meloy) and with close coordination with the PLO in areas of West Beirut. None of that was shown in the movie. The movie also started with a high class party and an American CIA agent observed that Christians and Muslims sat apart during such social occasions. Anyone who would say that has never been to Lebanon, and probably obtained this idea from Israeli experts (the lead Palestinian child in the movie is in fact played by an Israeli actor, or an actor with an Israeli sounding name). Christians and Muslims mingled freely socially before, during, and after the war and the movie confused the later part of the civil war (where sectarian manifestations were quite pronounced) with the early phase of 1975-1982 when the Left vs Right was a key dimension of the war. 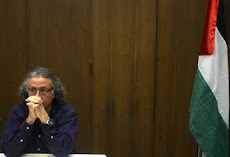 The movie also projected the current Islamic fundamentalist tide on the past, forgetting that secularism was the norm among Lebanese and Palestinians in West Beirut at that time. It was the Israeli invasion of 1982 which eradicated the PLO (and its great influence) from Lebanon and unleashed religious forces among Muslims of Lebanon and the region (Hizbullah never existed before the devastating and brutal Israeli invasion of 1982). There was a scene in the movie where Christian fighters were watching a program showing bikini-clad women, and the implication of the scene was that Christians are not as conservative as Muslims. In realty, bikini clad women could be found back then in predominantly Muslim West Beirut and (the exclusively) Christian East Beirut (the pro-US/pro-Phalange militias of the right managed to perpetrate whole sale massacres of the ethnic-cleansing type against Palestinian and Muslims Lebanese in the early 1975-76 phase of the war). Also, in the early phase of the war 1975-76, the social scene among Muslims was much more secular than it became in the 1980s. Veiled women, and women wearing niqab were actually rare in those years. It was only in the 1980s, and especially after the Israeli invasion of Lebanon (and the Iranian Revolution and the spread of Wahhabi doctrine in the Muslim world) and the evacuation of the PLO which had a secularizing influence on Lebanese society, that veils became more common. Also, Western accounts (fiction and non-fictions alike) of the Lebanese civil war always omits a basic fact: that US and Israel were heavily involved in the outbreak and prolongation of the war. 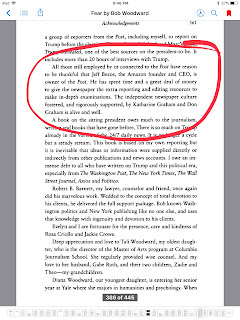 The recent book by James Stoker, Spheres of Interference, (which is based on new US declassified documents) reveals the extent to which the right-wing death squads of Lebanon were heavily sponsored by the US and Israel. Just as US media today pretends that Israel (which bombed Syria well over 100 times) and which has links to various armed groups inside the country, is a bystander in the Syrian war. There were references in the movie to bad elements in the CIA, and there were references to frictions between Mossad and the CIA. But the power of the Mossad was—typical in Western culture—highly exaggerated. The various stumbles, foiled attempts, and exposure especially in Dubai when the local polices plastered pictures of Mossad agents around the world don’t affect the image of the Mossad in the West. Finally, the movie talked about Israeli violence as if it was only directed at “terrorists”, while showing pictures of Israeli victims of Palestinian violence. 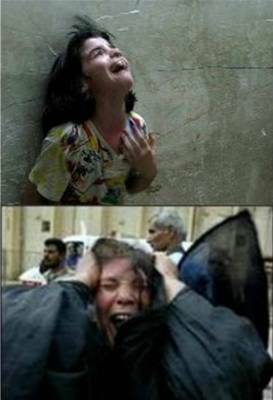 But Arabs can never be victims—not in Western media or movies. And this movie was no different. My weekly article n Al-Akhbar: "Future of Saudi-US Relations and the Fate of Muhammad bin Salman". My talk in Berkeley from two weeks ago. My article for Consortium News: "The Strange Disappearance of Jamal Khashoggi". My weekly article for Al-Akhbar: "The (Un)Happy Journey of Jamal Khashoggi: Will Muhammad bin Salman stay in power?" My take on Seth Anziska's new book, "Preventing Palestine: A Political History from Camp David to Oslo" (just published by Princeton UP). What emerges from the colonial and anticolonial use of the principle of self-determination in the Palestinian-Zionist context is its dependence on the same legal references to the question of nationality, not least the British Nationality and Status of Aliens Act of 1914, and its 1918 amendments, namely, the two main definitions of the right to nationality: blood and land, or, jus sanguinis and jus soli.63 These became the two bases invoked by the British Mandatory authorities and the Zionists to establish a Jewish claim to Palestine." How Yasser Arafat led the Palestinian people to Trump's "Deal of the Century"
My article for Consortium News on Yasser Arafat's disastrous path of leadership. You can listen to my comments on John McCain on Consortium Podcast here. Bashir Gemayyel and the "rights of the Christians"
My weekly article in Al-Akhbar: "Bashir Gemayyel and the (Stripped) Rights of Christians". 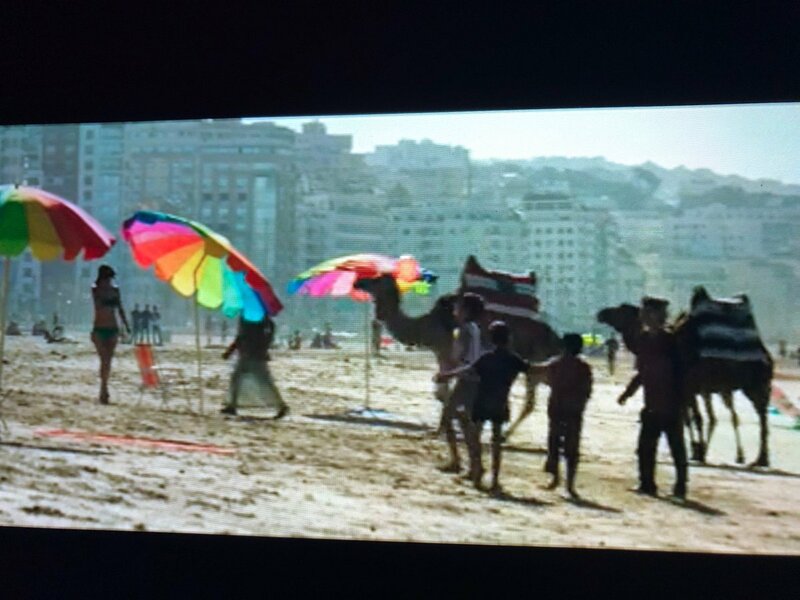 By far, my favorite scene of Jon Hamm’s movie, Beirut: Camels on the beaches of Beirut. Some Israeli assistant director must have come up with this touch. The "resistance" official in the White House: There is a historical precedence. 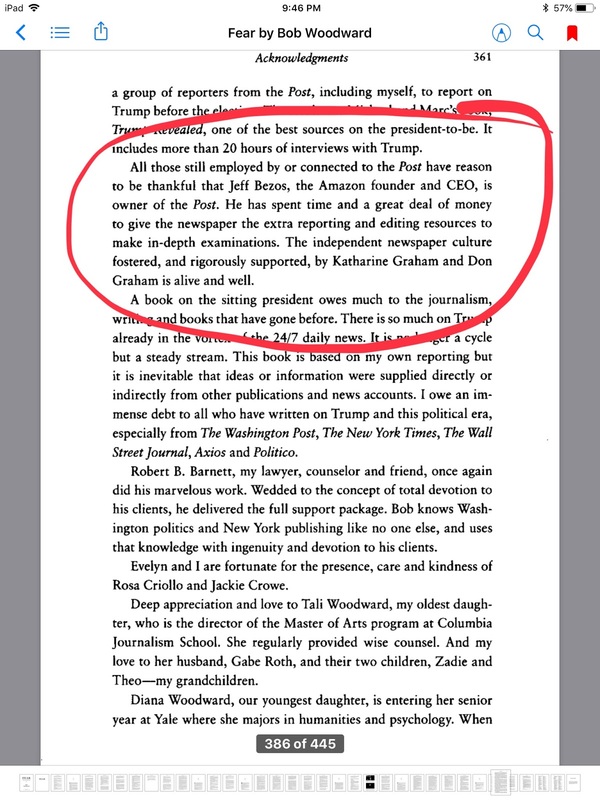 There was another "resistance" in the Nixon White House who leaked to the press that the president is unhinged and that he is being controlled by the wise staff. The name of that person is Henry Kissinger. My article for Consortium News on McCain and the Middle East.